The PDEng Data Science is a joint initiative of Eindhoven University of Technology, Tilburg University, and the Data Science Centre Eindhoven. Together they founded The Jheronimus Academy of Data Science (JADS). The academy is a thriving data science community, in which postgraduate education, innovation, entrepreneurial activities, lifelong learning, and scientific research are integrated. A major part of the PDEng program Data Science is related to real-life, cross-functional projects with partners in the data science ecosystem. The academy is located in the city of 's Hertogenbosch, in the former convent Mariënburg. 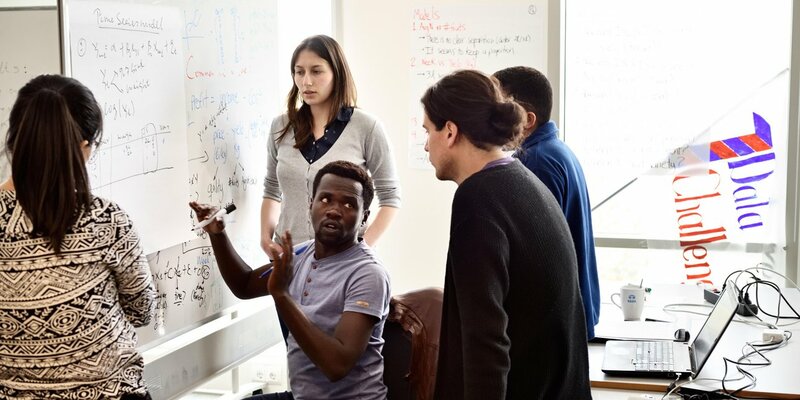 The program combines statistics, computer science, mathematics, and design theory with the business acumen to explore data sets, gather insights, visualize results, and communicate meaningful findings to stakeholders taking into consideration underlying ethical and legal aspects. Starting from the academic year 2018-2019, the PDEng Data Science also offers a specialization in Industrial Engineering. This specialization is typically of interest for master students with an industrial engineering background, who want to broaden in the field of Data Science. Properly applies techniques from statistics, computer science, and mathematics in a variety of data domains. Shows curiosity with the desire to discover, distill, and model a problem down to a clear set of concepts and hypotheses to be tested. Uses data to tell a story and communicate that story effectively to stakeholders. Demonstrates cleverness to look at a problem in different creative ways. Collaborates in teams and with a variety of stakeholders to get optimal results.